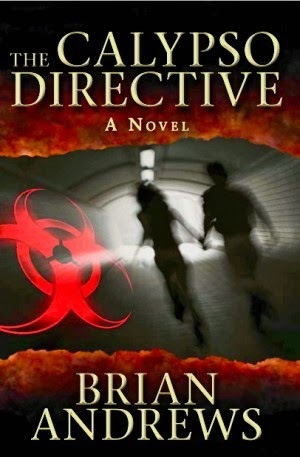 Brian Andrews is the author of the novel The Calypso Directive. A U.S. Navy veteran and Midwest native, he lives in "Tornado Alley." Q: How did you come up with the idea for the situation in which your protagonist, Will Foster, finds himself? A: I was watching a television program about the Bubonic Plague and there was a segment about a man named Stephen Crohn who was infected with HIV but did not develop AIDS. Turns out, Crohn had a mutation affecting his T Lymphocytes called the Delta 32 CCR 5 mutation that researchers were able to trace back to his ancestors who lived in the Middle Ages. This mutation is believed to have developed to provide resistance to Plague, a lethal pathogen that, like HIV, targets the body's immune system. As I was watching, the thought occurred to me: What if there was a person who never got sick? What if this person possessed a mutation that provided immunity against all disease? How much would that mutation be worth if it could be commercialized? What lengths would an unscrupulous corporation go to to obtain a secret like that? From these questions, Will Foster and The Calypso Directive were born. Q: Your novel's plot involves various areas of medical research. What kind of research did you do to write the book? A: When I set out to write a novel about an immunity mutation, I had to assume that microbiologists and pathologists were going to read it. Writers’ fragile egos can't handle livid e-mails from subject matter experts pointing out all our mistakes, so I was keen on getting my science right. My research was systematic. First, I started with trying to gain an understanding of how the immune system operated. As I researched this, I became engrossed in the topic because, it turns out, the immune system is really quite fascinating. The more I learned, the more I realized it was important to incorporate the evolutionary genius of immune system operation into the novel. Only after gaining and understanding of how the immune system functions, could I decide what my fictional mutation would be. Next, I had to research how a pharmaceutical company would realistically try to turn a genetic mutation into a commercial product. By the end of my research period, I was reading technical papers on gene therapies using viral vectors and interviewing Ph.D.'s in microbiology. My hope was to weave the science into the plot in such a way that it would be satisfying across the spectrum of readers—from someone with no medical training to the Harvard Ph.D. in virology. I hope that after finishing this novel, readers can say they have a better understanding and appreciation for their immune system. Because as we walk this Earth, bacteria and viruses are trying to invade and conquer our bodies, and it is our immune system that saves our lives—every day. Q: Did you know the entire plot before you started writing, or did your characters surprise you and take you in unexpected directions? A: For a complicated, multi-POV novel such as Calypso, mapping out the plot in advance is a must, or the story gets too muddy. That being said, certain characters always surprise me. One of the things I do to differentiate my characters and try to avoid the "cardboard cutout" trap, is that I assign each character a Myers-Briggs Personality score. For example, Robért Nicolora is an ENTJ: E for Extroverted, N for Intuitive, T for Thinking, J for Judging. As my own personality profile is not an ENTJ, I know that the character of Robért Nicolora (Field Marshall) will behave differently than I would behave in a given situation. This invariably leads to plot revisions as I write because my characters, by their very nature, go off in directions that I as the author do not anticipate during the outlining stage. Q: Why did you title the book "The Calypso Directive"? A: The title is one that only mythology buffs will peg as metaphor. Calypso was the nymph who kidnapped the hero Odysseus in Homer's Odyssey. Calypso held Odysseus captive on her secret island, and in exchange for his love, she offered him the gift of immortality. Will Foster is to Odysseus as Meredith Morley is to Calypso. Vyrogen's secret quarantine lab in Prague is the modern day equivalent of Calypso's island. In exchange for Will Foster's immunity mutation, Meredith Morley plans to offer Foster immortality... the man who changed the history of medicine forever. A: I'm co-authoring a military thriller with Jeffrey Wilson. 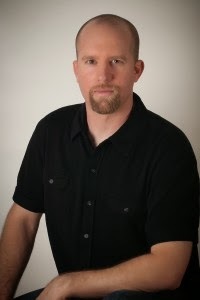 The novel is an authentic look into the life and work of a Navy SEAL and his Tier One unit as they take on terrorists targeting vital U.S. military assets. With Jeff's special warfare background and my submarine officer background, we hope to bring a fresh new series to the market featuring two elite naval services—special warfare and nuclear submarines. A: I just finished the next installment of the Think Tank series, titled Turncoat Fair. In the novel, the Think Tank crew is back working on a new case. Someone is murdering Fortune 500 CEOs and making it look like accidents... it is up to the Think Tank to figure out who and why. Look for Turncoat Fair in the fall of 2014.